How do I change or cancel a scheduled booking? Do i need to reserve an Uber ride from LAX Airport? Requeted a ride with Uber but my flight was delayed. What to do?! 3. Find the ride your wise to cancel or alter and tap "Cancel Ride" or "Edit Time". That's it! You have now canceled your scheduled Uber ride! 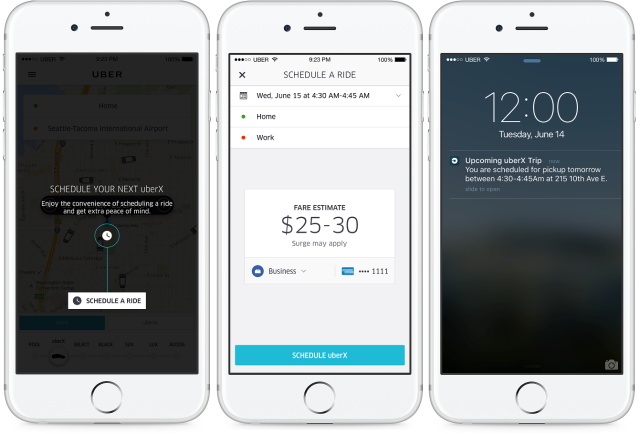 However, it is important to note that to avoid being charged Uber's no show fee, you must cancel or alter your Uber ride BEFORE being matched with a driver. If you wait to cancel your ride until after Uber has matched you with a driver, the normal cancellation fee will apply. ← When NOT to schedule Uber rides in advance.